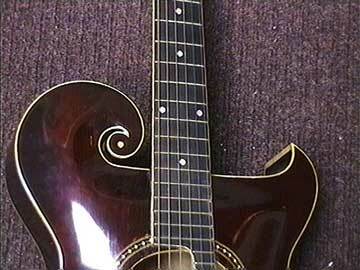 Orville Gibson, the man whose early work inspired the creation of the Gibson Company, was known for his use of the "scroll" pattern as a decorative body element. Now, the upper end of the body cavity is contained in the scroll area, but the scroll itself is solid and has no effect on tone. 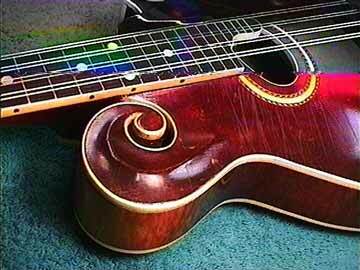 Of course, that big upper area does have an acoustic effect because of the added air volume. 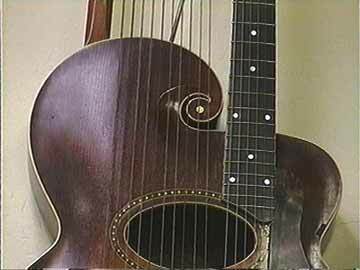 This is Gibson's first cutaway model guitar, the famous "style O" orchestra guitar from about 1915. 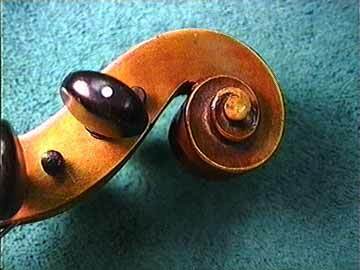 Scrolls appear on other instruments as well. . . The scroll is a classic design element for sure.